HC4 dermatologists "tried" the world-renown laser of the new generation under the guidance of their Spanish colleague. 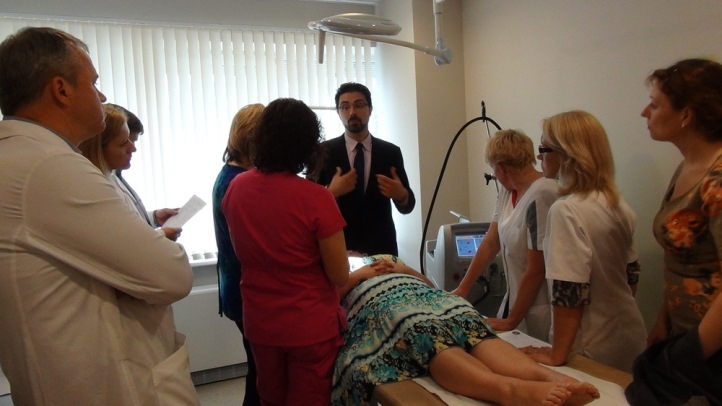 Dr.Pablo Naranjo from Spain returned to Latvia to give theoretical classes and share his practical experience in the field of state-of-the-art technologies in the aesthetic dermatology. This time he demonstrated Vbeam™ Perfecta (USA, Boston, CANDELA) liquid colouring agent impulse laser which gives unprecedented treatment possibilities in dermatology. 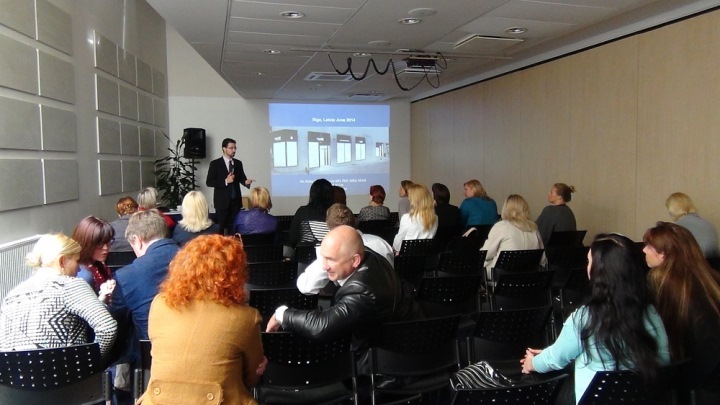 P. Naranjo acknowledged that he was very glad to come to Latvia where the level of dermatology is very high, as almost all the best innovative technologies in aesthetic medicine recognised all over the world are available in Latvia. P.Naranjo performed sample procedures in adults and in children, and taught the leading Latvian dermatologists how to use this device which is fiinally available in Latvia – in the Clinic of Dermatology and Surgery of Health Centre 4 (HC4). Dr. Pablo Naranjo acknowledged that Vbeam™ Perfecta is currently the best technology in the world which enables to solve vascular issues, and remove congenital and acquired skin pigment. Dr. Naranjo emphasised that this an efficient treatment method, which is also very safe and sparing, therefore it can be used even in new-borns, for instance, in case of such severe skin defects as capillary malformations or port-wine stains, when there is the risk of progressive vascular expansion. Kristīne Cīrule, methodological director of the Clinic of Dermatology and Surgery, dermatologist, indicated that laser procedures have been painful until now, as no pain management methods could be applied when removing blood vessels. „The unique technology built in this laser prevents skin from heating during the procedure, thus significantly decreasing the feeling of pain. Vbeam™ Perfecta laser considerably increases the opportunities to treat vascular diseases for which some people seemed to be doomed. Moreover, Vbeam™ Perfecta is applied not only in treatment of pigment and vascular damages, non-invasive tissue surgery, but also in treatment of acne and psoriasis (in active stage) and skin restoration - to reduce wrinkles and stretch marks and correct scars,” added dr. K. Cīrule.